Ground beef is an economical, easy-to-prepare standard ingredient in thousands of recipes. A steaming pot of chili, a meatloaf, or deep-dish lasagna casserole may come to mind, not to mention the wonderful charred taste of a grilled hamburger. It can be cooked and frozen for quick access or fried in a skillet and added to last-minute entrees. While the terms hamburger and ground beef are generally interchangeable, there is one particular difference. 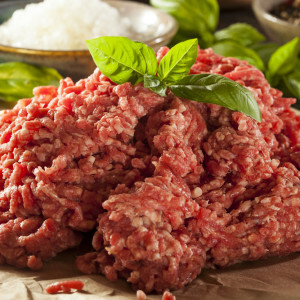 Hamburger may have “beef fat” and seasonings added during the grinding process; ground beef will have no fats added. It may, however, include seasonings, which must be listed on the label if processed at a state- or federally-inspected facility. Ground beef originates from tougher cuts of the cow, including chuck, flank, and round. 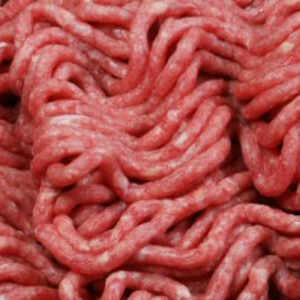 Ground sirloin, however, is tender, lean, and more expensive. The grinding process acts as a tenderizer. To be classified by the U.S.D.A. as ground beef, it must be at least 70% lean. In general, packages labeled “chuck” will be the highest in fat. Higher fat content means more flavor, which may be good for making hamburger patties. A lower fat content is better for chili and casseroles. The “sell by” date is not reliable. Transporting, packaging, and storage will determine the actual condition of the beef. Use fresh ground beef within two days of purchase as a precaution. When beef is exposed to oxygen it begins to turn redder, which is why surfaces should be fresh and bright in appearance. If packaged beef looks brown, it may be old. The insides, however, can be brown and that is usually acceptable. Keep in mind, though, that ground beef can go through several color variations. Vacuum-sealed beef will be a deeper reddish-purple and will lighten when opened and exposed to air. Also, if meat remains in the open too long, it will again turn brown. When beef is ground by request at a specialty market, it should be cooked immediately rather than frozen for the best flavor. For short-term freezer storage (about 30 days), leave ground beef intact in its original package. To keep up to four months frozen, double wrap in plastic and aluminum foil and place in a freezer bag. Meat can be refrozen after cooking, but should be consumed within two days if refrigerated. Ground beef should be cooked to a higher internal temperature (160º F/70ºC) than other types of meats. The process of grinding can distribute bacteria throughout the internal portions as well as on the surface. While “bad” beef can be detected by smell, bacteria has no odor.